NEW BRITAIN - A political newcomer announced he plans to challenge Mayor Erin Stewart for the top job in the city. 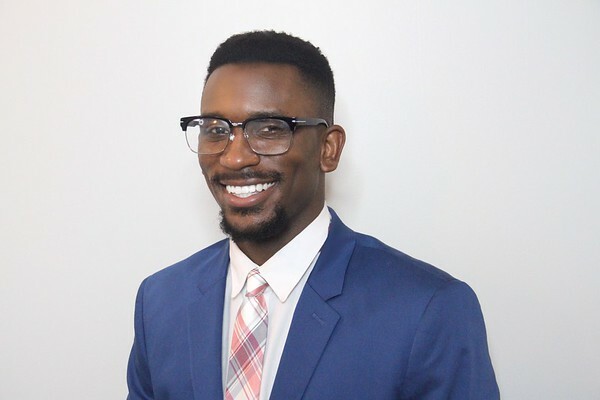 Christopher Porcher, 28, said he plans to run as a Democrat and has received the backing of the Democratic Nominating Committee. “We spread the word out and have conducted interviews. The nominating committee unanimously recommends Christopher Porcher,” Bill Shortell, New Britain Democratic Party chairman told The Herald. “My seeking candidacy is not about what someone has or hasn’t done. I’m looking to bring my experience to seek change in the community,” Porcher told The Herald on Friday. Porcher is a life-long New Britain resident and a graduate of Central Connecticut State University. He earned a masters degree from the University of Saint Joseph in business management. Porcher said his campaign will focus on education, unifying residents, and reducing taxes. “We need to think in innovative ways to bring resources to our students to ensure that we provide them the best education we can,” he said. “I also want to change the prewritten narrative given to New Britain. It’s a beautiful city filled with diversity, culture and talent. I want to lead people to understand that it is possible to bring the city where it needs to be by working together. I want to ensure in people that the city is invested in them as individuals,” he added. Porcher said city residents struggle with high tax bills and a school system that doesn’t fully meet the needs of students. “I will focus on our current tax burden and ensuring that not just myself, but my team is thinking outside the box to prevent taxes from being raised,” said Porcher. He said seniors in particular are struggling and he wants to work to make sure no one has to sell their house because they can’t afford to pay their property tax. The candidate, who oversees integrated health care programs at Community Mental Health Affiliate, said he believes his work experience and educational background have provided him with the skills he needs to be mayor. Porcher said he has a good understanding of how to manage budgets. “I understand budget restrictions and the importance of keeping the people we serve first when we have to make tough decisions,” he said. Although he said he plans to run a vigorous campaign against the incumbent mayor, he credits her with inspiring him to run for office at a young age. Stewart was elected in 2013 at the age of 26. The full Democratic Town Committee will make an endorsement in July. The general election will be held on Tuesday, Nov. 5. To learn more about Porcher, visit: facebook.com/porcher2019. Posted in New Britain Herald, New Britain on Monday, 15 April 2019 20:36. Updated: Tuesday, 16 April 2019 10:39.